Ogham (pronounced ‘oh-am’) is an ancient method of writing, believed to have originated in Ireland within the 1st century BC. The earliest Ogham inscriptions still in existence were carved in stone and date from the 4th century. Surviving inscriptions are mainly names or short inscriptions carved onto monuments, usually grave stones or territorial markers. Ogham is also believed to have been widely used on wood for record keeping or relaying short messages. Inscriptions carved in wood were easily made and very portable. They were sometimes cryptic in nature and believed by some to have magical properties. 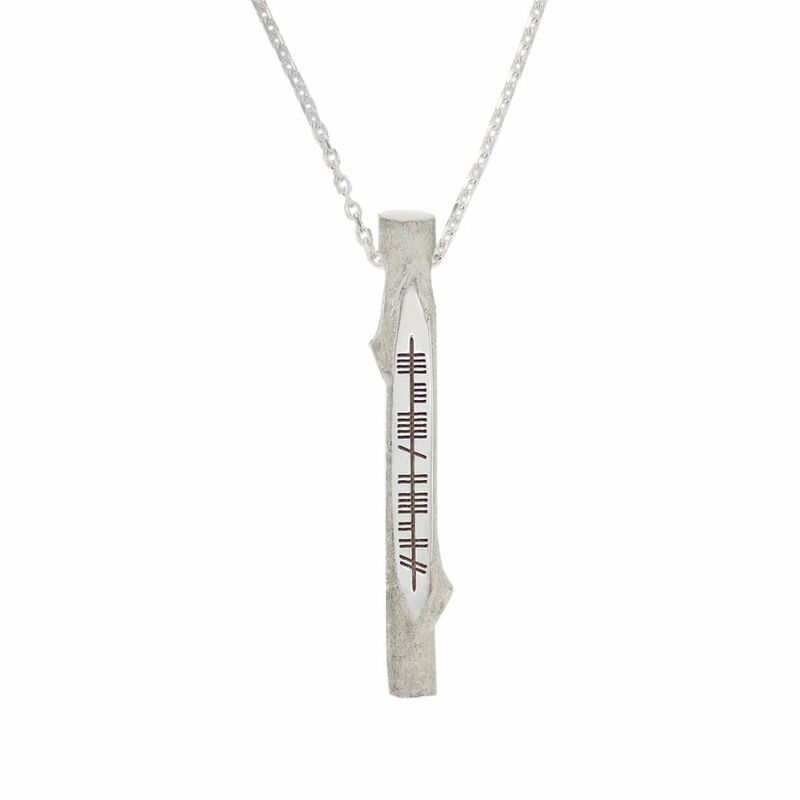 Ogham was later also written down and can be seen in manuscripts, often as margin notes, written as late as the 16th century. Based on the primitive Irish language the original Ogham alphabet had 20 characters which were divided into 4 groups. Script is read vertically from the bottom upwards. When written in manuscripts, the writing is read from left to right. A humble twig, with a slice of rough bark removed to reveal the smooth white sapwood below makes a great surface for carving a short message. With a hole bored in the top to thread it on a cord this was an simple and effective way to create a talisman to hang around the neck. 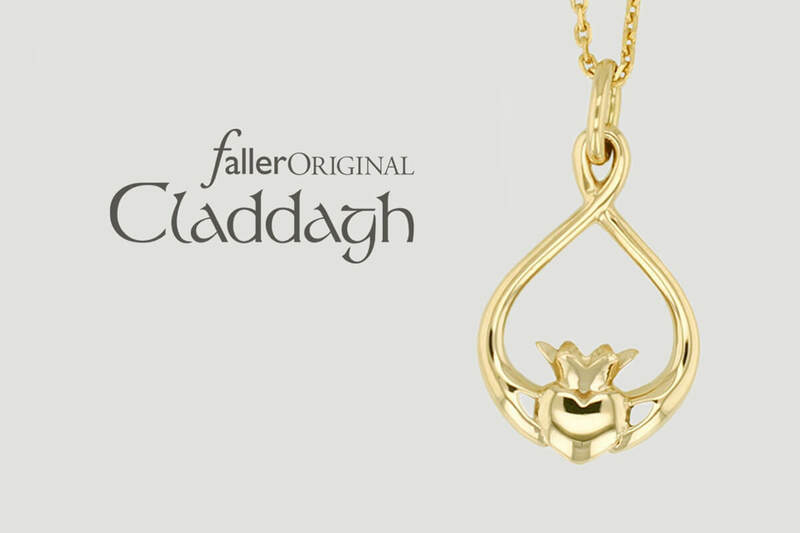 Whether for personal protection or to be given as an expression of affection for a loved one. 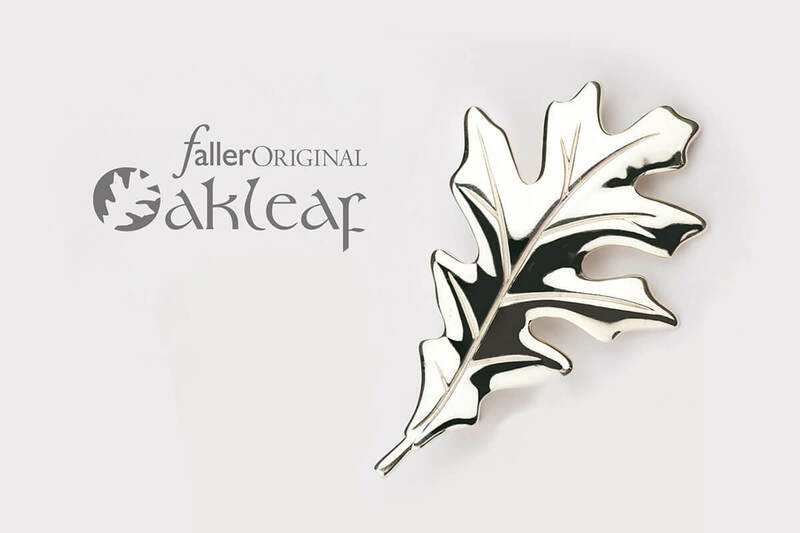 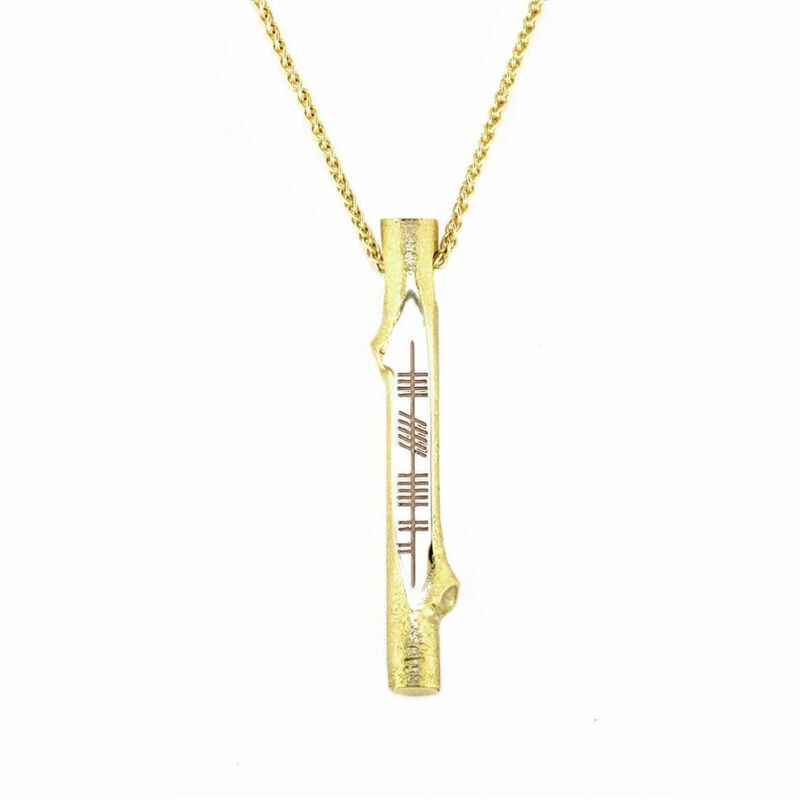 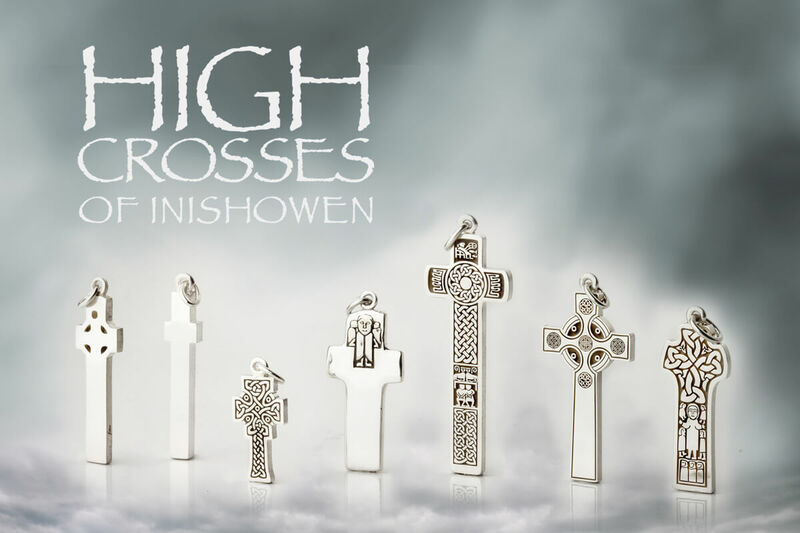 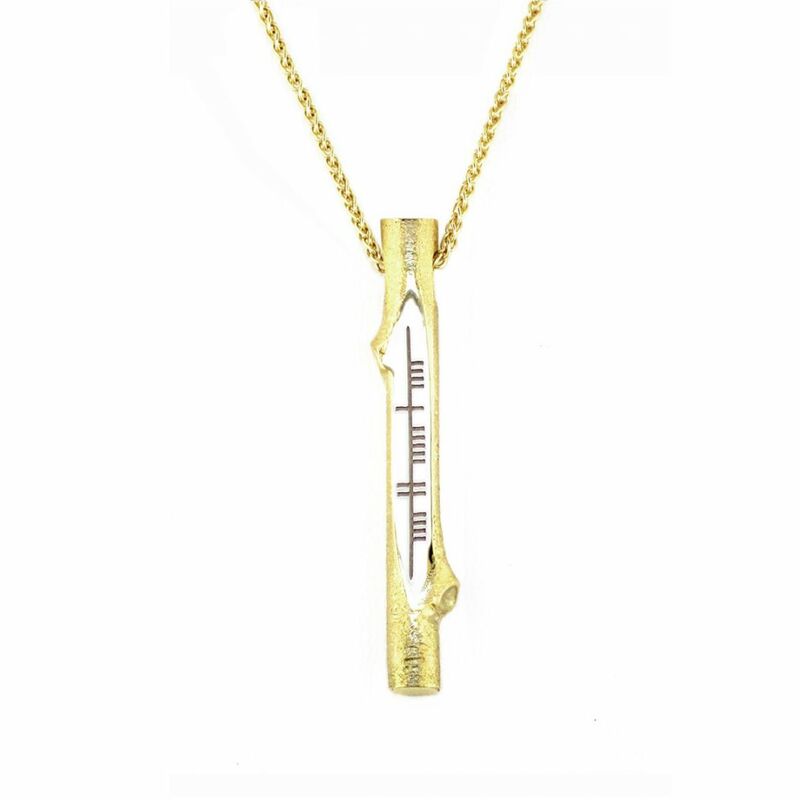 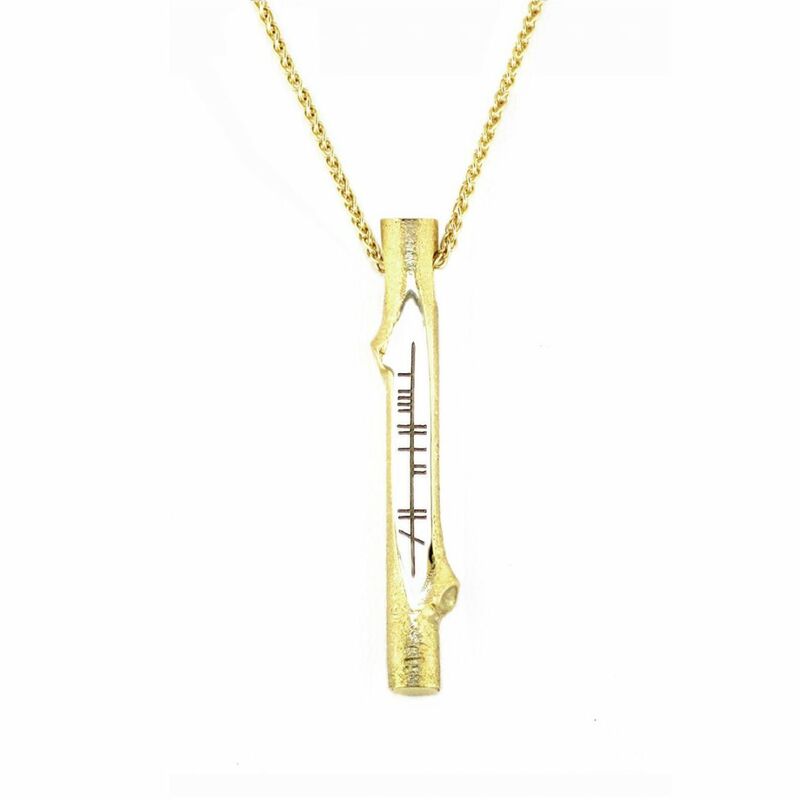 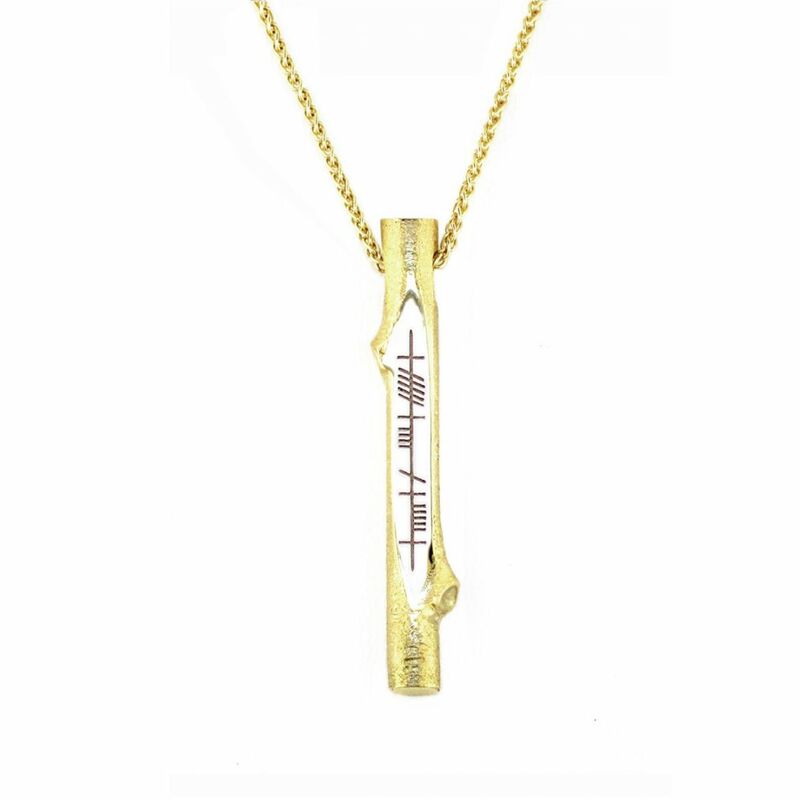 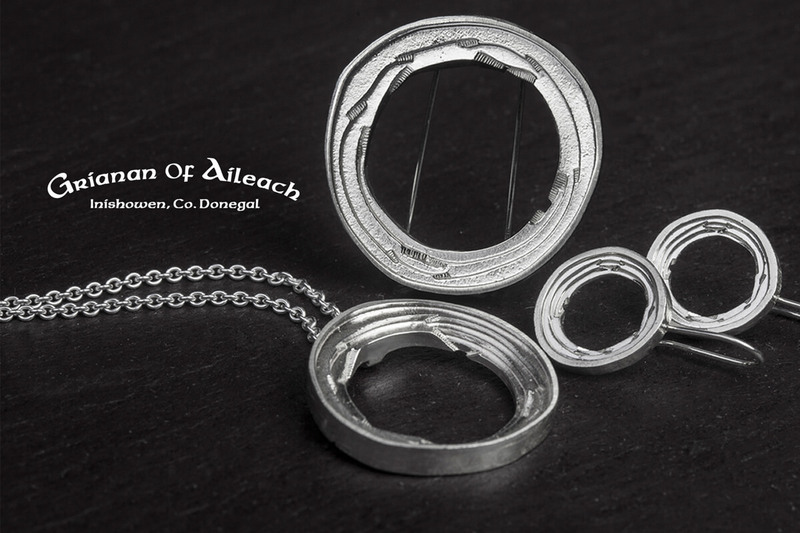 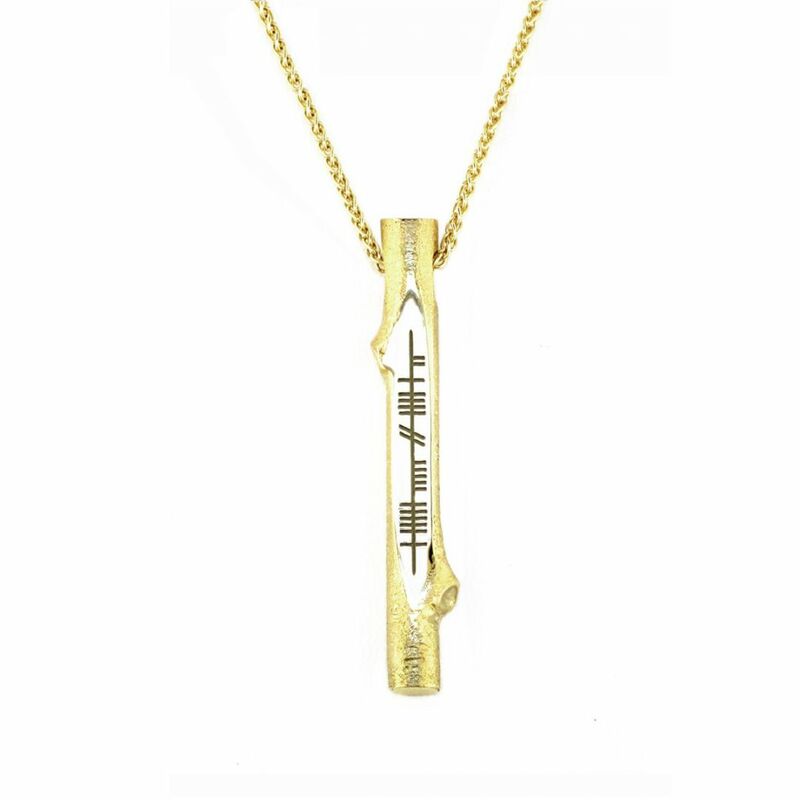 Our Faller Ogham stick has taken this concept and translated in it more enduring solid sterling silver and gold. 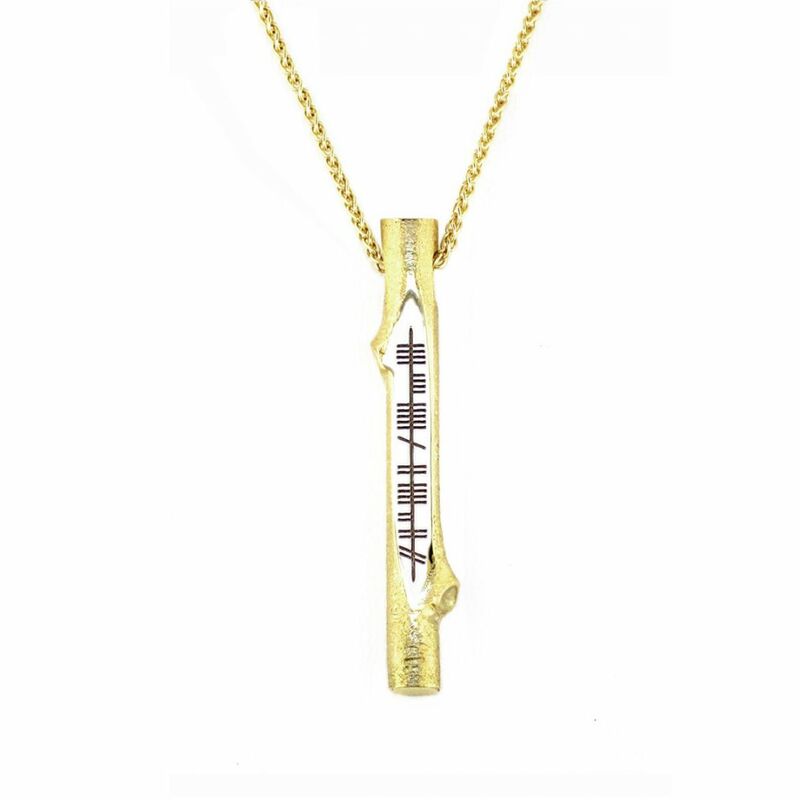 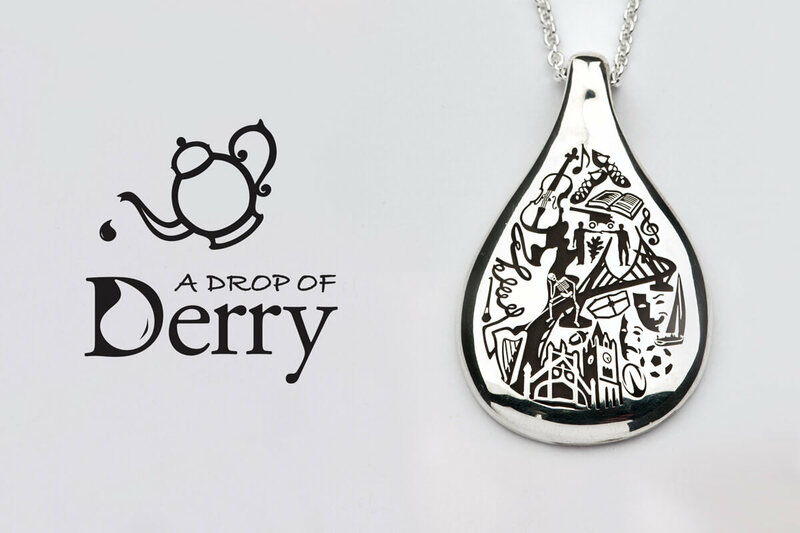 We have recreated this concept in more enduring sterling silver and 18ct gold as a lasting expression of affection.